Qujiang Lin sent people to stop the song xiaotong, asked if she had heard of the soul beads, know how to open it? Qu xiaotang has never heard of soul beads, qu jianglin does not believe, with Jing Xin Threaten to kill Jing Xin if she doesn't tell the truth. In order to save Jing Xin, qu xiaotong had to lie that he had heard of it, but now the pressure is too big to remember, qu jianglin then had them locked up first. After a short time, the servant told the eight lords to beg for a visit, and qujiang Lin said he could not sleep under the pretext of his absence. Qu xiaotong and Jing Xin are locked in the room. 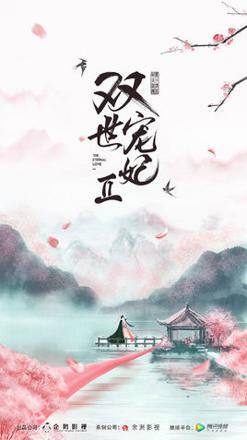 While taking care of the injured Jing Xin, qu xiaotong thinks that she is still waiting for herself at the lake Mo LianCheng Even suspected that he had gone back to modern times. She was sad when she heard a sound of knocking on the window. Mo LianCheng did not know when she found him. Kao explained why she did not go to the appointment and asked him why he did not leave first. But in Mo LianCheng's mind it was harder to wait for vision than for months at most, and he waited for her several times, so he would never leave her alone. Mo LianCheng alone could not save qu xiaotong and Jing Xin, they had to leave first. Qu PanEr He returned to qufu with a heavy heart and complained that the crown prince's heart was full of qutan son. Qu's wife comforted her to ask her out of the soul, she packed Qu tan son to give her gas, Qu jianglin but out of a small bottle, told Qu PanEr inside put the unique situation of western hunan gu, only in the wedding night to the prince under, will certainly change his mind, to her dead heart, Qu PanEr such as obtain treasure. Wedding night, crown prince decorated lights, everywhere cheerful, the new lang Mo YiHuai But no joy, drunk as a fish out of water before returning to his new house, even carrying Qu PanEr's name. Qu PanEr's love, however humble, could not help but shed tears. Mo LianCheng missed the best time to leave, his health became worse and worse, and the most nourishing medicine he had called for by running a thousand waters was of no use. He guessed to continue, and Mo LianCheng was not far from losing consciousness. Mo LianCheng was so clear about his condition that he decided to find someone he trusted to guard his sandalwood. Qu xiaotong and Jing Xin were waiting for the soldiers, but they unexpectedly learned from madame qu that the eight Kings palace was preparing for reconciliation and reconciliation Liu Shang I agree with you personally. Xiv wang ye was very angry when he learned that Jing Xin had been beaten violently. He went to the imperial palace to warn madame qu, and brought a copy of the scripture written by lady yi, the empress dowager. Fourteen told qu xiaotong, Liu Shang about an hour after she met in the woods outside, also under the pretext that the queen summoned the two rescued. 14 sent to the suburbs to leave, qu xiaotan to find Liu Shang, but to see Liu Shang with blue night night, the two people are still very close. Qu xiaotan asked Liu Shang whether she really wanted to marry the blue night tide, and Liu Shang asked why she could not. Qu couldn't believe that after just one day, Mo LianCheng became so heartless. She cried and scolded the swindler of Mo LianCheng. She was angry that she would forget him completely. On the other side, the eight wangs received a note from Liu Shang, telling him to wait at the door at noon and tell him to take good care of her in the future. Sure enough, as soon as noon came, a carriage drove slowly up, and the eight lords uncovered the curtain, and inside was sitting the little sandalwood, which the eight lords had never seen before. Qu xiaotong still cried in her sleep, eight wang ye know she is for Liu Shang and the matter of family sad. Song small sandalwood wake up to request eight wang ye to return oneself to song fu, because eight wang fu has her this lifetime does not want to see the person again, eight wang ye had to helplessly agree. When she saw that she had guessed the truth, she felt very guilty. But she said that he liked who he was, and she was grateful to meet him, even if she did not marry him all her life. Blue night trend also told Liu Shang, qu jianglin body has an evil matter, all over the purple light, she had seen him outside the plug day and night training, reminded Liu Shang to beware of him. Late at night, Mo LianCheng, dressed in black, sneaked into the qufu palace and stole the zhensoul beads. Qujianglin found that the zhensoul beads were missing, and immediately ordered people to blockade the qufu to dig three feet to find them. The next day, qu jianglin told the emperor about this, and only the blue night night princess in his residence knew that he suspected that the eighth king and the princess had stolen it. After much deliberation, the emperor agreed that he would take his troops and the eight royal palace to search for the soul of the ball. Liu Shang came to his study, but he put his sword down his throat. Eight wang ye ask who is Liu Shang, because he found out his brother and brother, Liu Shang learned that Liu Shang had died long ago, Liu Shang saw that he did not panic, but let him do not need to ask more, as long as they believe themselves.As he spoke, Liu Shang felt a sharp pain in his chest. Even ba wang ye felt heartache inexplicably. Seeing that he could no longer conceal it, Mo LianCheng simply removed his human skin mask. Mo LianCheng confessed that he was from the future. When he was a child, he had studied medicine with the former emperor. He simply extended his hand to let him feel his pulse. Eight wang ye know from the pulse condition that his life will not be long, but still do not believe his words, insist to ask him close to his own exactly have what purpose, at this time, Yu Hao Rush in to tell the Lord to bring the soldiers to search the palace.